The Ink Link is an ongoing project at CN&CO that showcases tattoos in the workplace. One of the great things about a tattoo is it goes against the commonly-held viewpoint that “what you see is what you get”. 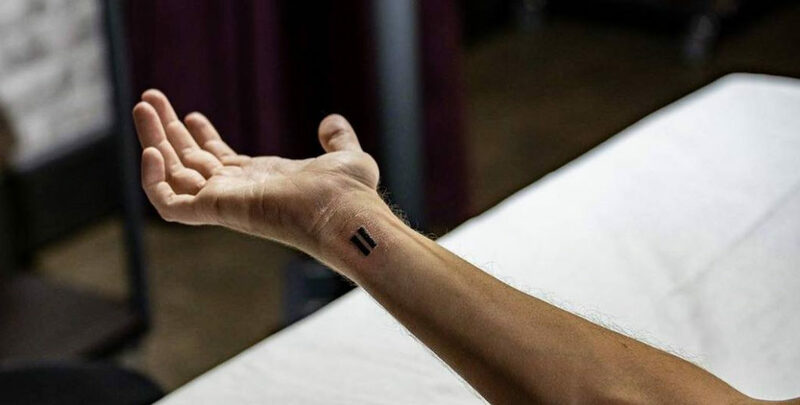 There’s a misguided belief in certain quarters that in order to be a working professional, it is categorically impossible to have a tattoo… because how can someone with a tattoo be a professional? We are putting paid to that perception through the stories showcased in the Ink Link. This is a special feature and tells a story we came across while visiting the GoodThingsGuy website earlier this week. If you haven’t seen the good news stories that our friend Brent Lindeque and his team share on daily, sometimes hourly, basis you should check it out. Our Ink Link series shares different, diverse and interesting stories related to tattoos people in our network. In his blog, Brent shares why he recently got a tattoo to highlight that he is a proud organ donor. He unpacks the awareness campaign that TELL (Transplant Education for Living Legacies) are embarking on to educate South Africans about organ and tissue donation, with one of the founders Fawn Rogers. Are you a registered organ donor and will you be joining the campaign?